Recently I came across a photograph with Ceausescu (the late Romanian communist dictator) attending an official ceremony in the Throne Room of the former Royal Palace in Bucharest. The Royal Palace was styled as the “Palace of the Republic” by the communist regime and used for official gathering with fellow high ranking communists from abroad (Tito, Khrushchev or Brezhnev among others) and grandiose state and party ceremonies. The presence of Ceausescu in the old Throne Room, with the communist coat of arms and the red star on top of it in the place where once the throne stood made a very dissonant historical note and was a crude reminder of the adverse fate of the Romanian people under a Soviet imposed communist regime, alien to the country’s traditions. The strange set up was poignantly thrust into my eyes by the eerily juxtaposition of the dome painted with the coat of arms of the Romanian Royal family and that of Hohenzollern-Sigmaringen dynasty, together with those of Romania’s provinces over the large cold metal-made communist coat of arms hung beneath them, in fact a perfect metaphor of those unfortunate times. The scene in the photograph above shows the 1968 New Year’s Eve get-together of the dictator and his government with the accredited foreign diplomats in Bucharest. The Throne Room was once the sacred ground of the Romanian monarchy, where events such as the Coronation of King Carol I and Queen Elizabeth in 1881 took place. 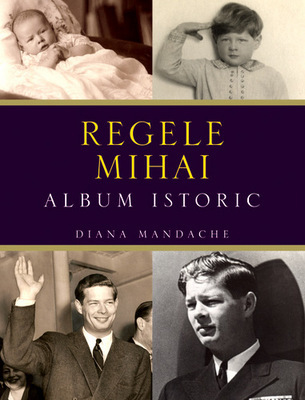 The old photographs and cards with the Romanian Royal family, especially those from 1930s and 1940s are rare, and for that today are precious. 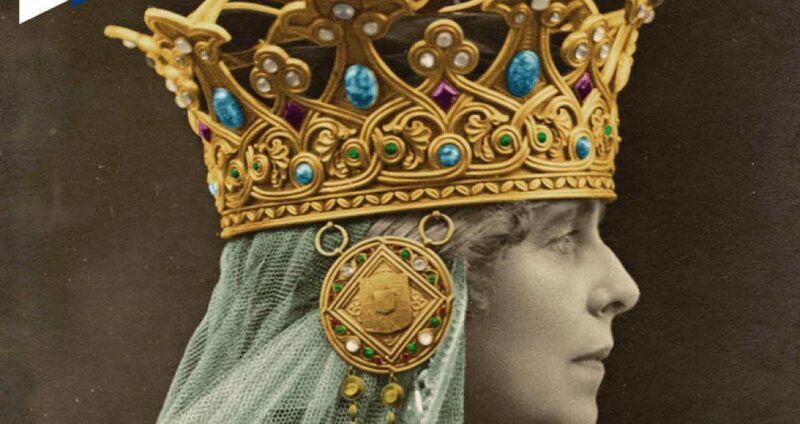 In older times under the small dome it was placed a canopy and the throne. In front of them the King usually read his message to the guests for special occasions. 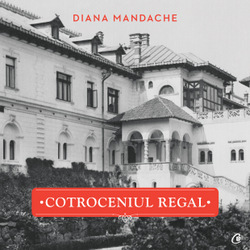 ©Diana Mandache and https://royalromania.wordpress.com 2008. Unauthorized use and/or duplication of this material without express and written permission from this blog’s author is strictly prohibited.